Are you planning a party for a Moana fan? 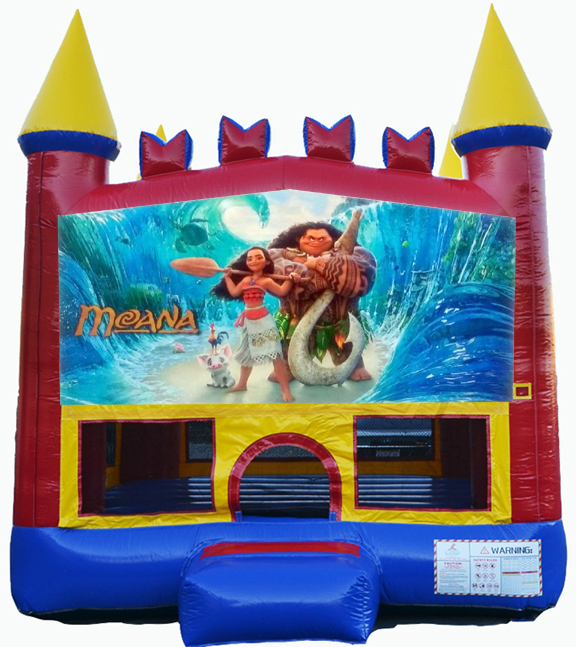 Your family will LOVE this bounce house themed with their favorite Disney Movie. 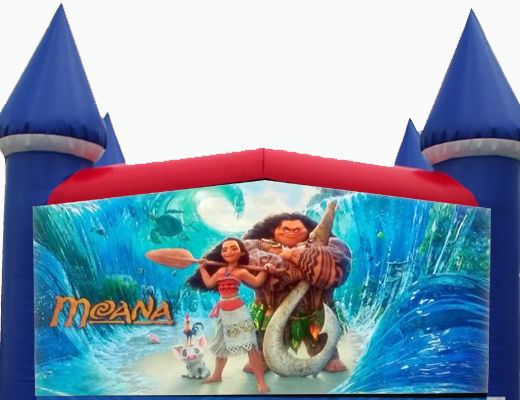 Everybody loves to jump and play in one of our professional Inflatable toys. 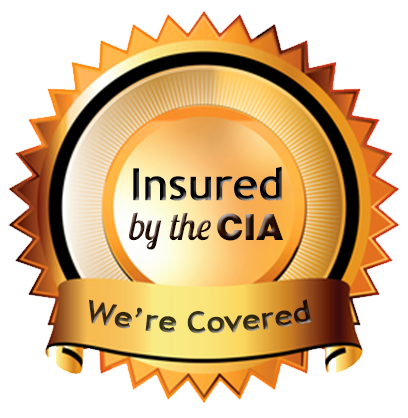 Full Day rate (8 hours) $160.00. Local delivery is free. Call for delivery rates outside the Local area. Space needed: 15X15 foot space. 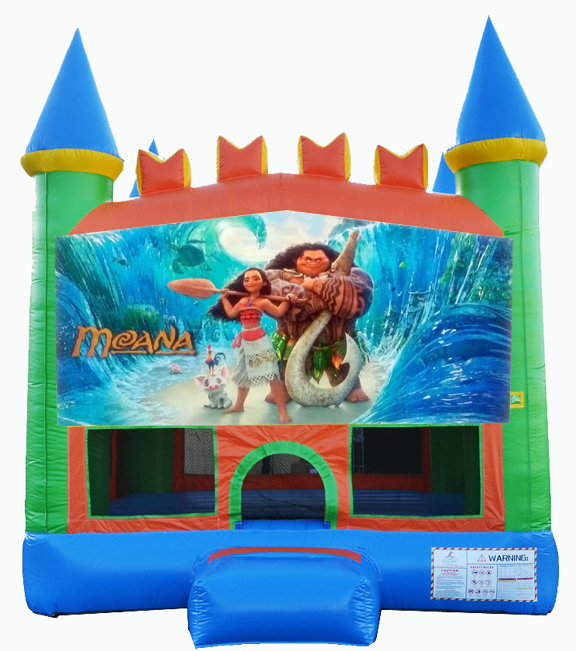 Electrical requirements: One, 20 Amp or Two, 15 Amp Circuits. We also have generators available if needed. 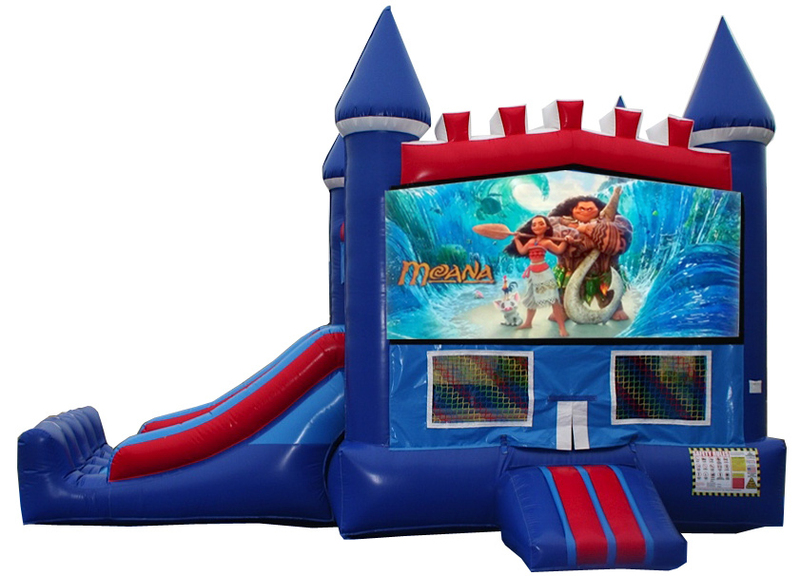 * Bounce/Slide Combo available for $160 for 5 Hours. 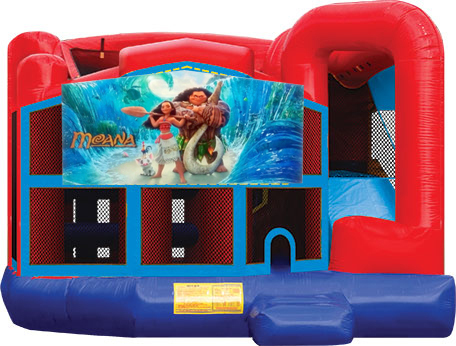 *Play Palace available for $200 for 5 Hours. 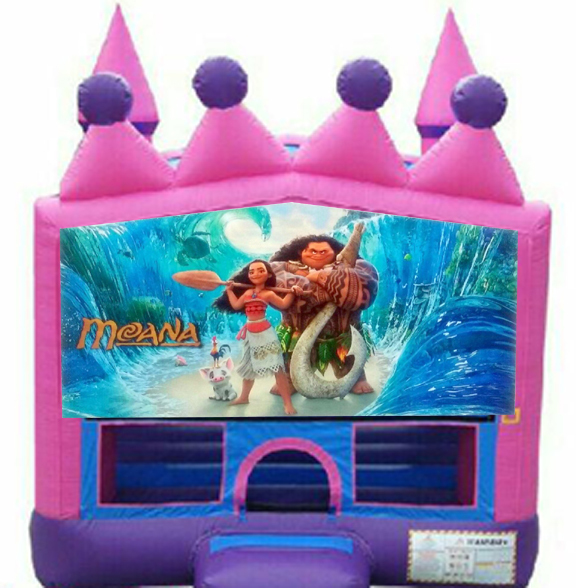 Our Moana bounce house is Perfect for the fan in your home. 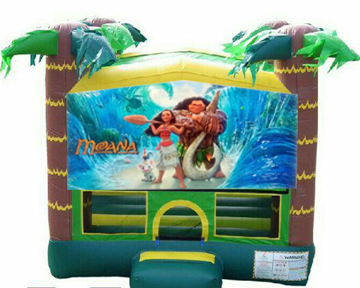 Perfect for themed parties or corporate events. 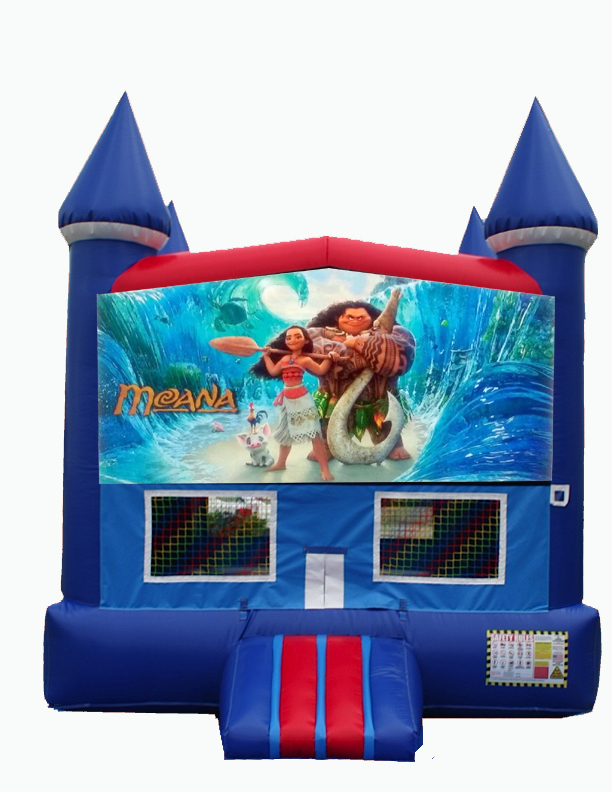 Only Destination Events provides the largest inventory of bounce houses in lane county.